Clayton Foster has wasted no time making his mark on an already impressive Edinboro cross country program. He’s led the women to a second-place finish in the PSAC conference championship meet, along with a regional championship, and the men to a conference championship and third-place finish in the regional race. The powers that be have wasted no time rewarding him. For his efforts, Foster, in his first year at Edinboro, was named the United States Track and Field and Cross Country Coaches Association Atlantic Region Coach of the Year. “I have high expectations and I think it’s partially with my background,” the head coach said. “But I’m very pleased with the way that we’ve transitioned as a team throughout the year.” His background includes five years as an assistant coach at running powerhouse Adams State following a decorated career at Minnesota State University, Moorhead. The Fighting Scots competed at the NCAA Division II Atlantic Region meet on Nov. 17. Sophomore Hope Pietrocarlo and senior Abbey Lang crossed the line within 20 seconds of each other to finish third and fifth, respectively, to lead the women to their second consecutive regional title. 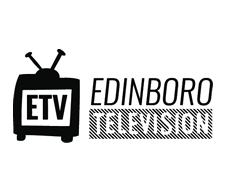 Edinboro last won two in a row between the 2013-14 seasons under then-Head Cross Country Coach Rick Hammer. Tori Klimowicz followed them in 15th, finishing in 25:08. Freshman Audrey MacPherson finished in 20th and sophomore Stefanie Parsons finished one spot behind her to round out Edinboro’s scorers. 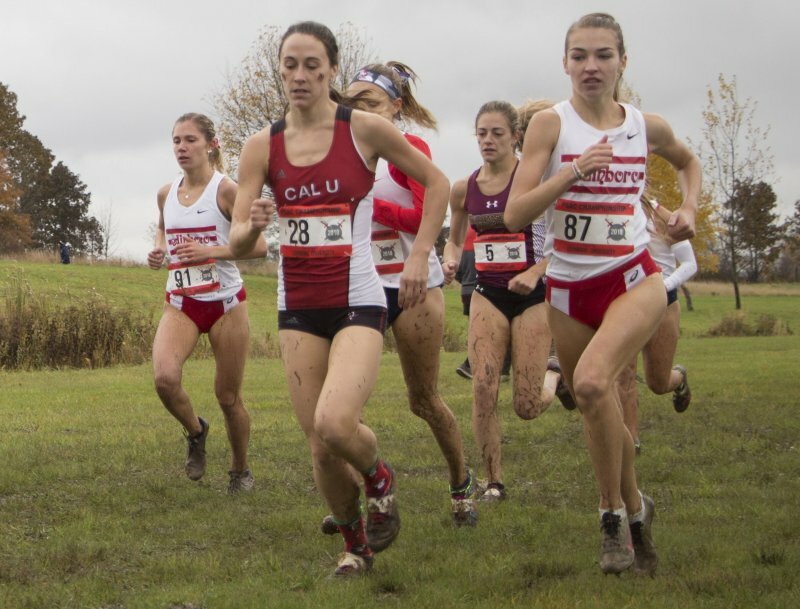 Pietrocarlo, Klimowicz and MacPherson represent a group of young runners on Edinboro’s squad that have improved quickly to help anchor their team (Parsons, meanwhile, was the PSAC Women’s Cross Country Freshman of the Year in 2017). 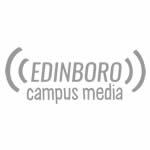 With 64 points, Edinboro edged out California University and Shippensburg University, who finished with 87 and 96 points, respectively. Through the first two laps on the course, Edinboro’s men sat in second place with their top five runners remaining closely packed together. As the race wore on, they began to pair off. Sophomore Colton Cassel credited his teammates’ willingness to remain as a pack for strengthening their overall results — helping their fourth and fifth finishers stay fast, while sacrificing the frontrunners’ individual placements. Foster praised the men’s pack running as well, but said they would be forced to run more aggressive when it comes to the national race. Despite finishing just 4 seconds apart, sophomore Cassel and senior Jared Hallow finished three spots from each other. Cassel finished 10th with a time of 35:29 while Hallow finished in 35:33 to place 13th. Cassel said the conditions were rough, with the course covered in mud, but he was proud of the success the underclassmen on the team had in the race. 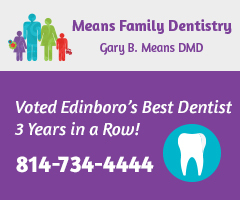 Senior Corey Wefing finished next for Edinboro. His time of 35:42 was good enough for 17th, while freshman Ward Ries followed 3 seconds and three spots later at 20th. Freshman Brendan Oswalt rounded out Edinboro’s scoring with a 22nd-place finish at 36:11. Foster praised the freshmen on the men’s side, and mentioned how hard it can be to transition from the high school version of the event to the college level, where the distance increases from 5 kilometers to 8. In addition, the regional and national meets take place on 10 kilometer courses. The University of Charleston (West Virginia) captured the regional title with 62 points, while Shippensburg edged out Edinboro for second with 76 points. The Fighting Scots finished with 82 points. Concord University followed in fourth place with 155 points. The men and women will compete at the Bob O’Connor Golf Course in Pittsburgh, the same course as their regional meet, on Saturday in the NCAA Division II National Championships. Cassel said he thinks Edinboro will bring a slight advantage into the race after visiting the course earlier in the season and on Nov. 17. Foster said his teams are capable of continuing to perform at an unexpected level on the national stage.